Chocolate, chocolate, chocolate. 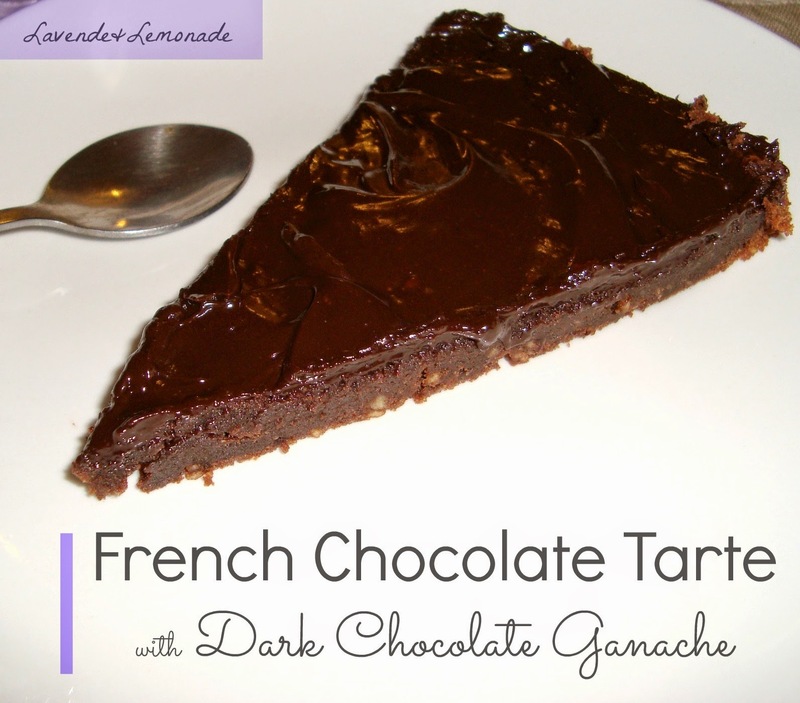 This tarte is so terrifically indulgent. I make it for every occasion I can justify, and can't stop eating it when I do! 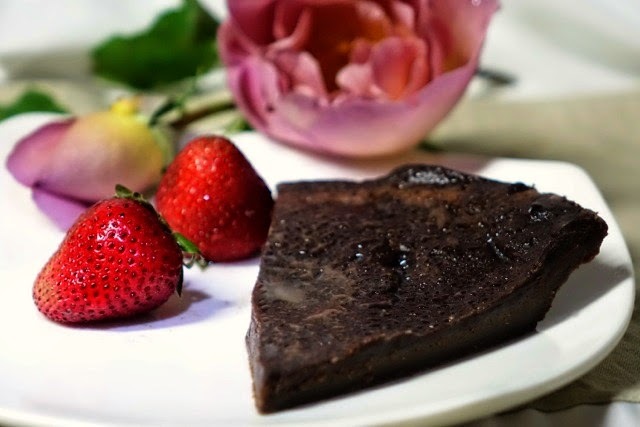 It is a smooth, almost chewy chocolaty base covered with a deep chocolate ganache glaze. A-maz-ing. Preheat oven to 350F. Grease a tarte pan (I'm addicted to my white ceramic tarte pan from Ikea, and it works perfectly here). In a small nonstick saucepan melt chocolate and butter over low heat, stirring occasionally. Meanwhile, pour flour into a mixing bowl and stir in the eggs one by one, ensuring there are no lumps. Once the eggs are well incorporated, stir in the sugar. When the chocolate mixture has melted, stir and pour into the egg mixture. Stir well, for 2 or 3 minutes until the batter is very smooth. Pour the batter into the tarte pan and cook for 15 minutes, until it has puffed up and a knife comes out clean. Melt the chocolate and butter in a saucepan over low heat (use the same pan as before and save yourself the extra dishes!). Once they've melted together, stir in the cream until the texture is smooth. Pour the glaze onto the tarte, smoothing with a spatula as needed. Refrigerate the tarte at least one hour before serving. Its delicious cold or at room temperature, and goes great with fresh strawberries. Mmmm Chocolate! 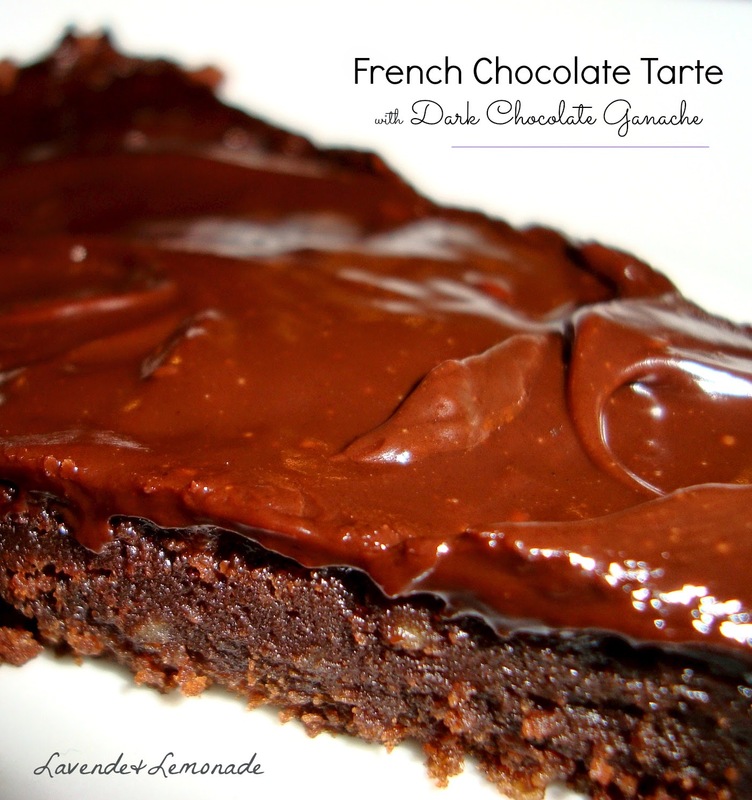 My hubby is a HUGE dark chocolate fan and I think he will love this! Thanks for sharing!